Tim is a Waterloo-based pianist, singer, and music pedagogue. 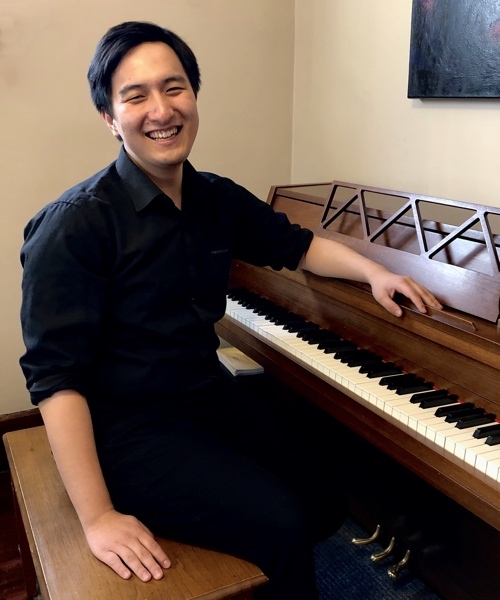 His classical piano education in both Montreal and Waterloo under Anya Alexeyev, Michel Brousseau, Heather Taves, and Olivia Xin Zhang has given him a breadth of technical and musical knowledge, which he strives to pass on to his own students. Meanwhile, his choral and vocal training under Irene Feher and Jean-Sébastien Vallée has shaped his musical outlook and revealed to him a natural, cohesive musical vision, both as a pianist and a singer. Of particular importance to Tim’s approach to musical education is his focus on developing his students’ musical instincts through sight-reading, sight-singing, and improvisation. He never loses sight of two main objectives for each of his students: developing one’s personal appreciation for music, and discovering one’s true musical voice. Outside of teaching, Tim is an active performer of classical, folk, and popular music. In addition to his love of the Classical and Romantic solo repertory, he devotes much of his time to studying the Western art song tradition. He occasionally performs with local ensembles including the Romanian folk group Mărțișor and has played keyboard in musical theatre productions, including Alice in Wonderland, Fame, and Footloose. In December 2017, a piano composition by Tim was performed as an encore in a solo recital by pianist Olivia Xin Zhang in Hubei, China. 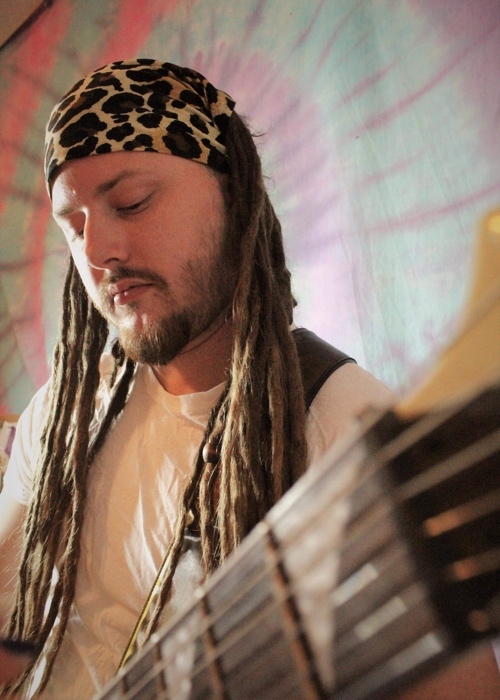 Jaden has been teaching students of all ages for 12 years and has been playing guitar for 15 years. He started his musical journey at age 12, and quickly developed a passion for composing and improvisation. He views the ‘conversation’ between musicians in mid-performance as the most captivating aspect of live music, and the reason he continues to play music at every opportunity. Jaden has completed his full theory and rudimentary training with high honours through the Royal Conservatory of Music. He then attended Fanshawe College in London to study music production, sound engineering, and entertainment law through the Music Industry Arts program. Currently, Jaden supplements his teaching schedule with live sound engineering work, and writing and performance gigs. He is presently involved in the development of 2 separate metal projects that he anticipates will both release albums by the end of 2019. Judith enjoys sharing her passion for music through teaching violin and viola. She holds a Bachelor of Music degree in Viola Performance and Music History from Wilfrid Laurier University, where she studied with the wonderful violist and educator Christine Vlajk. As she continues to learn to be a better player and teacher, she aspires to share her view of music as a beautiful way for people to connect with others and with themselves. She has played with the Prince George Symphony Orchestra and the Orchestra North Academy Ensemble, collaborated with some of Canada’s finest musicians at the Spirit of the North Classical Music Festival, and has taught privately and as an instructor at various summer programs. 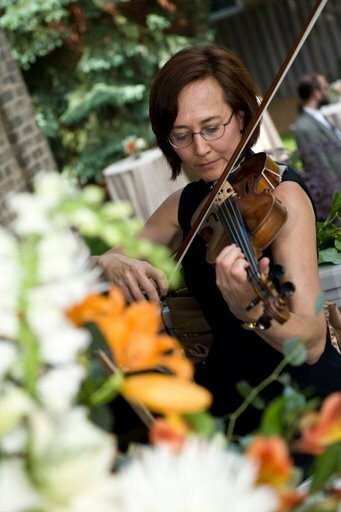 Judith is currently based in Waterloo and brings her extensive experience as a performer and teacher to her goal of helping her students to find their own individual musical voices through a good grasp of the science, the art, and the fun of playing violin and viola! Kristen has been teaching piano since 2010 to children to adults. She grew up southern Alberta where she began piano lessons at the age of seven. Since then, she has fallen in love with music. Throughout her life as a pianist she has performed at retirement homes, charity events, public library concerts, and premiering student compositions in Lethbridge, Alberta. In 2017 she completed her Bachelor of Music degree at the University of Lethbridge. During her time at the U of L, she studied under Glen Montgomery, Magdalena von Eccher, and Dr. Deanna Oye. Currently, she attends Wilfrid Laurier in the Master of Music Therapy program. As a teacher, Kristen focuses on giving students positive experiences while challenging them to improve their musical abilities and themselves along the way. She enjoys playing and teaching classical, rock, pop, folk, indie and video game music. Douglas Scott particularly enjoys working with people to unlock their inner voice. 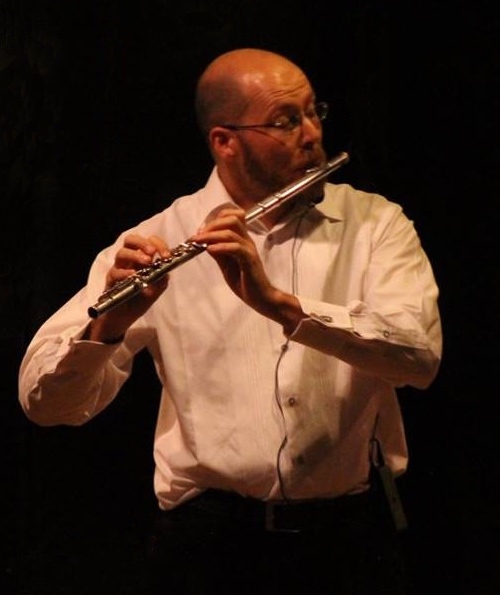 He holds an Master’s degree in Music in flute performance from the University of South Africa and a PhD candidate in musical semiotics and cognition through the University of the Free State. His musical journey started when he was born into a family of musicians and piano teachers, and continues with his recent move to Kitchener with his wife (a piano teacher) and two daughters. He spent two years at a choir school in his youth, and has performed extensively in choirs, vocal ensembles and stage productions. As a composer, Doug has had works performed as far afield as Germany and Singapore, and is currently active as secretary of the composers’ organization NewMusicSA. Jesse started his musical journey at age 12. Since then he’s been to hundreds of concerts and spent thousands of hours listening to, studying, and learning, to emulate the legends of rock, blues, folk and pop. He’s studied with excellent instructors, both local and world class, and has since played shows in numerous projects in venues across Ontario. 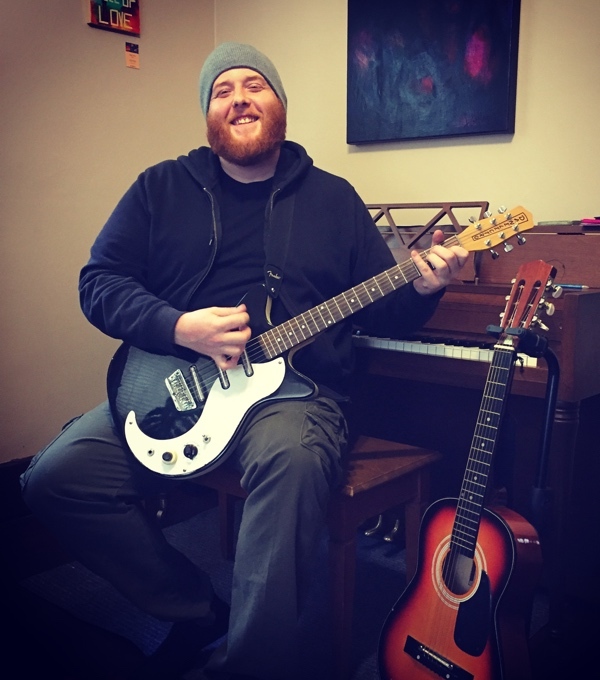 Jesse continues to hone his performance skills, but you can find him passing on his craft and love for music teaching at Pro Music and Russel Music Teaching Studios. He feels anyone can learn to play, and prides himself on just how quickly he can help make that happen. Alison Feuerwerker has been teaching violin in KW for more than 20 years. She has a Bachelor of Music degree from Wilfrid Laurier University, an ARCT in violin performance, and Suzuki teacher training through Book 6. Alison plays violin in the Guelph Symphony and the Waterloo Chamber Players, as well as freelancing, playing for musical theatre, and jamming and performing with local musicians. In 2011-2012, Alison lived in Arusha, Tanzania, teaching violin and viola with the Umoja Music school, and performing and recording with several Tanzanian musicians. More recently she spent a month teaching music at the Casterbridge Music Academy in Mpumalanga, South Africa. In addition to violin, Alison plays djembe, and is learning ukulele. She played keyboards in a reggae band for seven years in the ‘90’s and for the past three years has been a member of Tala, KW’s women’s drumming group. 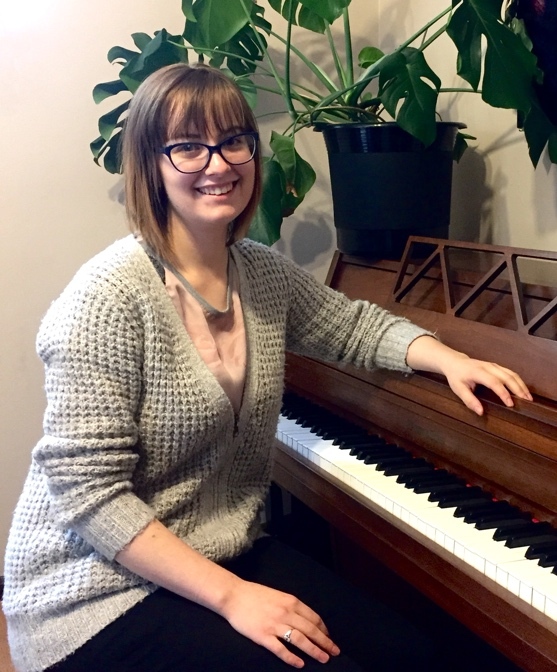 Nicole started classical piano lessons at the age of 6, and progressed to complete her Grade 10 RCM Piano while completing her Honours Bachelor of Fine Arts, specializing in Music Performance, at York University. At age 15, she began teaching herself guitar, and honed her skills while studying Music Therapy in the graduate program at Wilfrid Laurier University. 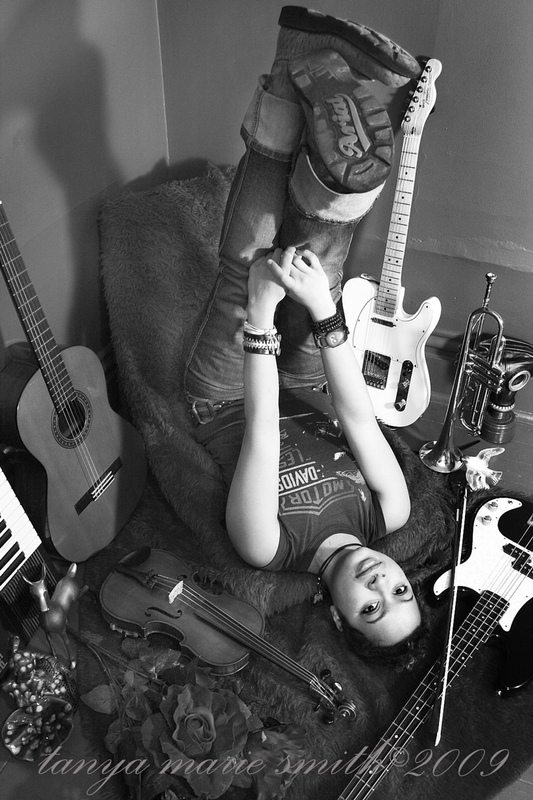 Nicole is also self-taught on the ukulele, and dabbles in song-writing and improvisation. She enjoys spreading her love for music, and the joy of creating music, to those around her! Nikki is a singer and multi-instrumentalist hailing from London, Ontario. 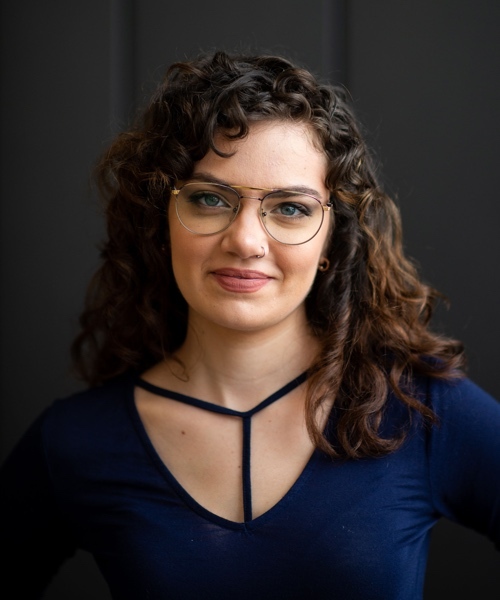 She holds a Bachelor of Music in Voice Performance from Wilfrid Laurier University, where she studied with acclaimed tenor and pedagogue, James McLean. 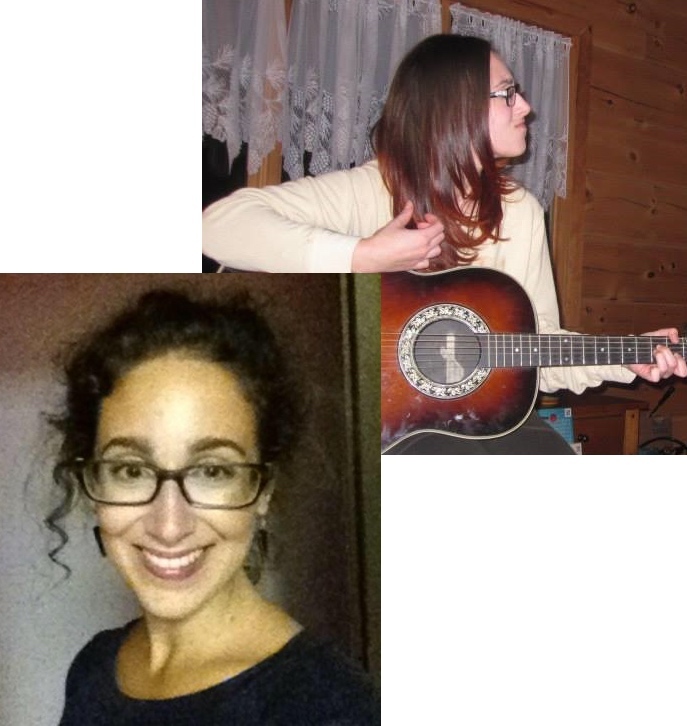 She has also studied at Academie de Fourvière in Lyon, France, and at Laurier’s Voice Lab, through which she received instruction from Kimberly Barber and Leslie Fagan. In her lifetime, she has performed in over 30 plays and musicals and continues to be active in local theatre. Some of her favourite roles include Shelley Parker in Bat Boy (KWLT), Celeste #1 in Sunday in the Park with George (Original Kids Alumni), and Maria in West Side Story (Opera Laurier Excerpts). Nikki’s pedagogical approach is to develop well-rounded musicianship through ear training, sight reading, and music theory, as well as working together with the student to choose repertoire that both brings them joy and continues to challenge them as a musician. She uses her classical background to encourage healthy, sustainable, and age-appropriate production in a wide variety of styles. In addition to her stage work, Nikki frequently collaborates with London-based musician Tyler Um and has appeared as a vocalist on several of his singles and album tracks. She is always searching for ways to expand her horizons as an artist, and hopes to spark the same curiosity in her students. Charlena is a caring and motivated instructor who loves to teach and takes pride in helping her students achieve their goals. A dedicated musician since she was 12, Charlena loves teaching her students the songs that make their eyes light up. Charlena applies her classical RCM background to any and all styles of music. 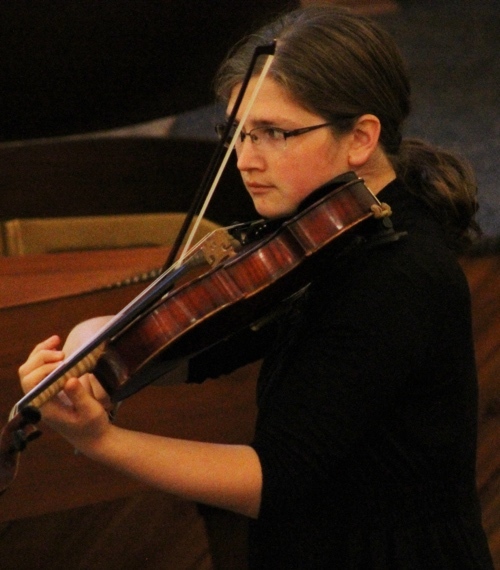 Charlena has studied with symphony players and the top teachers in K-W and across Ontario. In 2011 she completed her RCM theory and grade 9 classical vocal exam. Charlena loves learning and continues to take voice, piano, guitar and theory lessons because there’s always more to learn! Charlena also runs the Rock Band Classes for students ages 8-18. Students are put into groups based on age and musical preference where they learn to play as a band. At the end of the 10 week class they perform a real Rock Show as a band for their friends and family to enjoy!